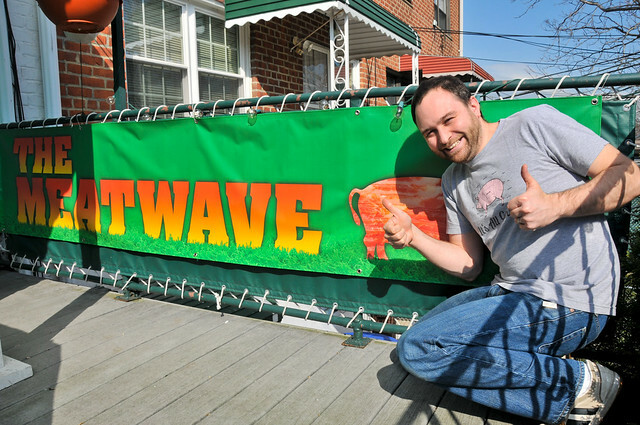 In the winter of 2012, The Meatwave set forth with an online fundraising campaign to start-up a BBQ competition team. With the generous support of friends, family, and fans, our goal was met to bring the fantastic backyard barbecue from this blog onto the competition circuit. Based out of Astoria, NY, The Meatwave team--headed by Joshua Bousel (aka: The Meatmaster) with strong support from Kristin Resurrecion (aka: The Wife)--competes in barbecue and grilling contests primarily in the New York City region.